I have received requests from many of our visitors for a trick to increase our Internet speed and here is the solution for u all enjoy Hi-speed net upto 20 % faster. 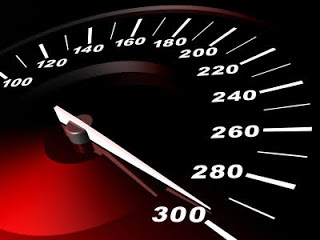 Do as directed and you will surely experience the difference in your net-speed. QoS Packet Scheduler is a method of network bandwidth management that can monitor the importance of data packets and depending upon the priority of the packet, give it higher or lower priority or bandwidth levels. It's not very useful unless you're using apps which are QoS-aware or running a server, so you can gain some network overhead back by turning it off. Make sure you're logged on as actually "Administrator". Do not log on with any account that just has administrator privileges. *Expand the Local Computer Policy branch. *Expand the Administrative Templates branch. *Highlight the "QoS Packet Scheduler" in left window. *In right window double click the "limit reservable bandwidth" setting. *On setting tab check the ENABLED item. *Where it says "Bandwidth limit %" change it to read 0 (ZERO). and set them both to "true". This adjusts the pipelining settings. Finally, right-click anywhere (on any setting) and a menu will pop out: select 'new' and then 'integer'. Copy this (without the quotes): "nglayout.initialpaint.delay" and paste it in as the name, and then set the value to "0" (zero). This removes the render delay. You should experience a BIG increase in your browsing speed...ENJOY!!! !